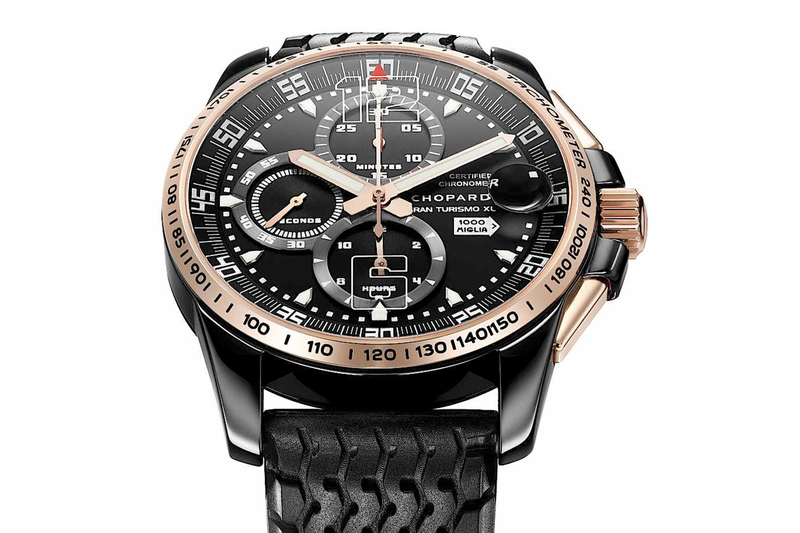 Chopard debuted their new Mille Migilia line at Baselworld in April 2008. The model (pictured above) is the limited edition Mille Migilia GT XL Chrono Speed Black, which has a Mille Migilia emblem on the dial at 3 o’clock. 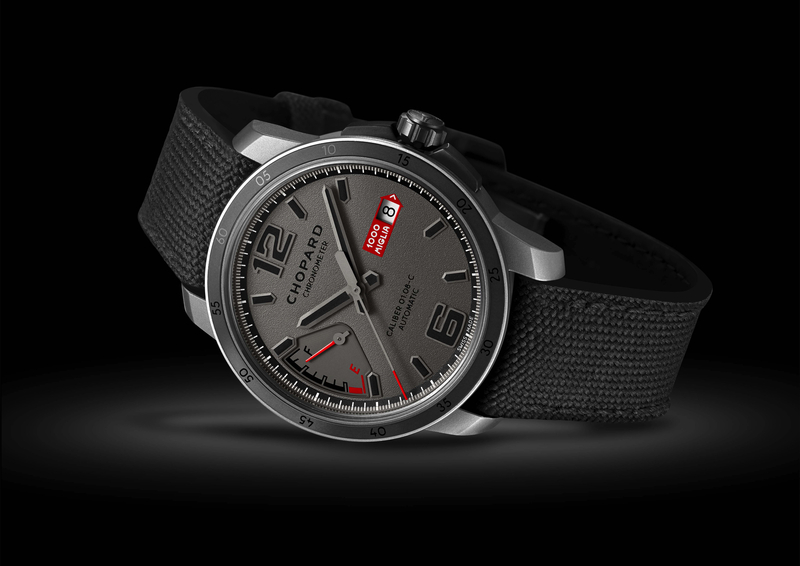 The case is 44 mm in diameter and is made of DLC (Diamond Like Carbon) coated steel, for a finish that is not only beautiful, but ultra scratch resistant as well. 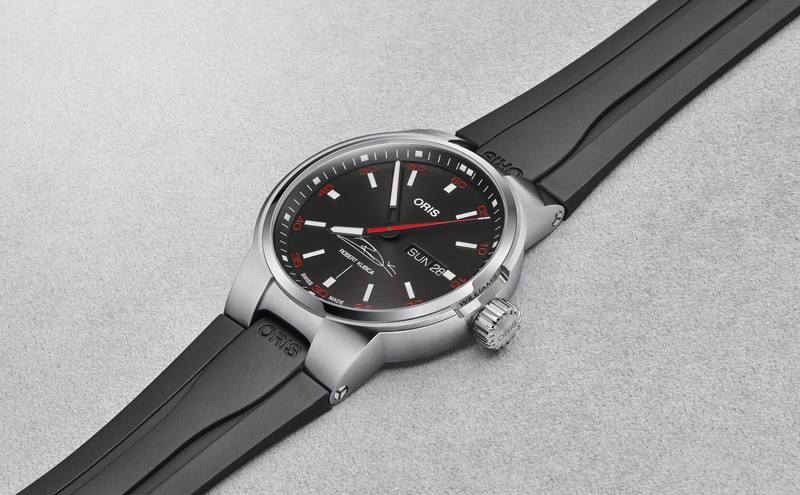 The bezel is engraved with a tachometer scale, which is typical of racing chronos, and allows you to calculate average lap times. Interestingly, Chopard used a curved sapphire crystal with the white numbers “12” and “6” stenciled over the the 12 o’clock and 6 o’clock positions on the actual crystal. This is not something you see on a lot of watches, but I think it looks great. The movement is a Valijoux 7750 automatic mechanical movement. Each watch has been certified by the Contrôle Officiel Suisse des Chronometres (COSC) and are therefore certified chronometers. As a tribute to the legendary Mille Migilia race the strap is crafted of natural rubber with a classic 1960 Dunlop racing tire tread. 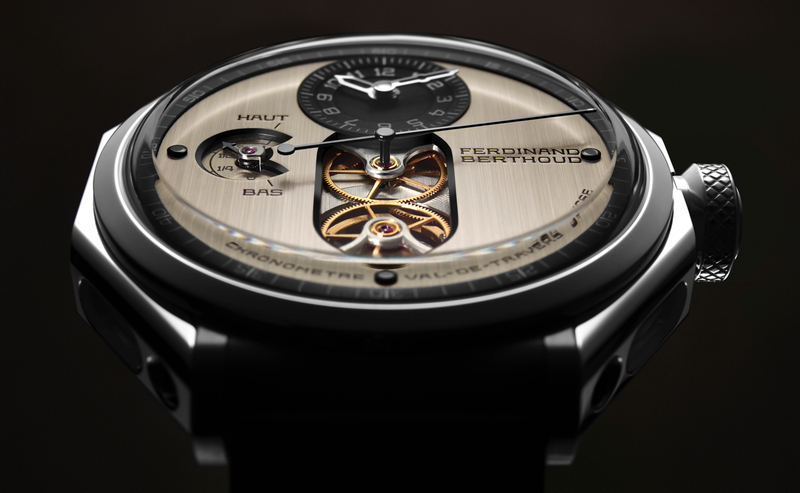 Only 1000 Limited Edition versions of this wristwatch were created and they cost around $8,500, if you can find one.